Welcome to Michigan's Internet Hall of Fame! 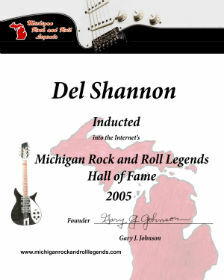 Welcome to the Michigan Rock and Roll Legends Website. The site is a totally independent and proudly non-commerical tribute to the artists and songs of Michigan's first vinyl records era. The voting for both the 2019 MRRL Hall of Fame inductees and Legendary Michigan Songs HOF inductees opened on January 1, 2019 and will close at midnight on June 1, 2019. Induction certificates are now available for all past and present MRRL Hall of Fame inductees. Contact Dr. J via email for information. Michigan's Internet Hall of Fame. A total of 103 artists and individuals have been inducted into the MRRL Hall of Fame during the past fourteen years. Read their biographies along with recommended recordings, books, the best Internet sites, and watch youtube videos for each inductee. Click on "MRRL Hall of Fame" to view the Inductees. The 2018 inductees are Bettye LaVette, Dennis Coffey, The Iguanas, Moose & Da Sharks, Ollie McLaughlin, and the Royal Coachmen. Visit Michigan Rock and Roll Legends on Facebook featuring Michigan Rock and Roll events, Voting Upda tes, Videos, and up-to-the minute Rock and Roll News! Motown Black & White: The MRRL Internet Hall of Fame is proud to announce that it is now a permanent interactive component of the Al Abrams' collection and exhibit on the Motown music empire. The MRRL kiosk was unveiled at the red carpet event at the Detroit Historical Museum on April 21, 2016. Harry Balk was one of the early movers and shakers of the Detroit music scene as a manager, record producer, and label owner. His first important contribution was the discovery of Little Willie John, and, as his manager, guided the young singer through his early R&B recordings, including the # 1 hit "Fever". 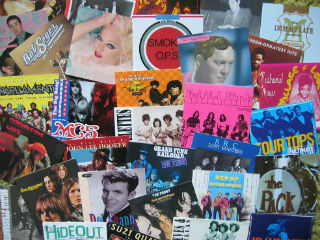 Balk went on to establish the Twirl, Impact, and Inferno record labels, and he discovered a number of other important artists including Johnny and The Hurricanes, the Shades of Blue, and Sixto Rodriguez. After forming Embee Productions, Balk enjoyed his greatest success as the co-producer of "Runaway" and the other early recordings of Del Shannon. In the late 1960s, he became the head of A&R at Motown Records and was influential in establishing its Rare Earth subsidiary label.